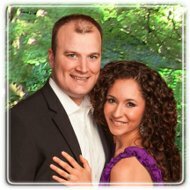 Tulsa Therapist: Marriage Solutions - Therapist 74114. Send A Message To Marriage Solutions. When your marriage is down in the dumps it can be hard to function day to day. If you are at your whits end and you are ready to throw in the towel with your marriage, before you do, come and see us. I have chosen to limit my practice to just working with couples and marital issues exclusively. Although my license allows me to work with any mental health issue, I believe I am most effective when I focus in my area of expertise. I have been able to help the great majority of the couples, who may be just like you, experience night and day improvements in their relationship. They have been able to turn it around. Check out our website and you will find testimonials, helpful information on our blog, and videos where you can get to know your marriage counselor. I became a therapist because I am passionate about listening to and helping people overcome life's difficulties. I decided to focus exclusively on couples therapy because I realized the importance of specialization. Not only is it my goal to be the very best at what I do, but I also believe that it's my duty to provide the best possible care for my clients every time. When you come to Marriage Solutions for couples counseling you are getting a team of licensed and trained professional advisors who see couples very much like you every day. Why spend precious money and time going elsewhere when you can see an expert in the field today and likely finish therapy sooner?